you guys seemm obnoxiously happy. since when do pregnant wives jump up and down (smiling no less!) 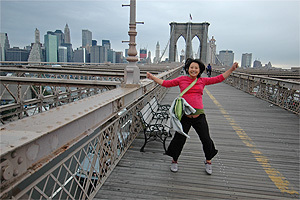 while hiking over the brooklyn bridge!